Manic Street Preachers have released a video showcasing their acoustic take on their track Dylan & Caitlin. The original version will appear on the Welsh outfit’s upcoming album Resistance Is Futile, which will be released on April 13. 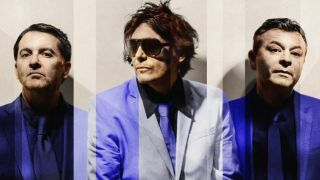 Bassist Nicky Wire adds: “The story itself rolls through their relationship – drinking, fighting and ended up broken by America. Resistance Is Futile is available to pre-order now. Find the cover art and tracklist below, along with a list of the band’s upcoming UK tour dates. Classic Rock Magazine: The REAL Greatest Albums of the 90s - On Sale Now!